Dan Dignum’s vision for creative, unique residential architecture saw the establishment of Dignum Design in 1985. Dan’s philosophy is that of a holistic approach where the site and its environment, the structure, and the climate are considered as a whole, to obtain the best possible outcome. Sustainable design principles (solar orientation, natural light, ventilation, heating, cooling, low energy use, water saving, screening, landscaping etc), with functional living, sleeping areas, a connection between the inside and outside, and careful consideration to the use of materials and finishes are major principles of the design process. The end result is to reflect the uniqueness of the site, the client’s lifestyle, and to be functional, and elegant. Dan believes in creating a relationship with his clients in an approachable and relaxed manner. A step by step process throughout each stage of the design ensures client participation and input, and early involvement with consultants and contractors to assist in achieving budget realism. ARCO_OLOGY; 1. an intuitive design process integrating human emotion simply into complex living structures. 2. a collaborative building practice to create sustainable living solutions. It’s not so much about what we do. It's far more about how we do it. You can’t begin to understand a person’s individual needs and desires without fully understanding them first. Dreams. Aspirations. Motivations. Work. Style. Life. Love. The emotive connectors that drive us daily influence our unique take on living. That’s why we explore your world before we bring it into ours. Discover your space’s functional needs and craft it into liveable design form. We see it as a collaboration for life. Our clients see it the same. We get you_so you get us. Mi Design Studio is an innovative & progressive building design company specialising in design & documentation across a varying range of disciplines. Michael Tomlinson is dedicated to providing a high degree of professional service, undertaken with honesty and commitment. Our aim is to build long-term partnerships with our clients by delivering cost-effective solutions & unique design. Backed by more than 20 years industry experience the team is fully committed to providing a professional service that exceeds our client’s expectations. We undertake a range of projects both locally & interstate and focus heavily on prompt turn around & quality documentation. At Stuart Osman's we offer professional design and documentation services. We pride ourselves on delivering detailed plans and documentation with prompt, personalised service. We work with our clients to achieve total satisfaction, ensuring the design process is a pleasurable and exciting experience. Our Expertise: For over 20 years SOBD, based on the Gold Coast, has been providing Queensland and NSW with design and documentation services. Our expertise lies in developing detailed documentation covering construction detailing, mechanical, hydraulics, structural, electrical, fixtures and fittings, and shop fitting. As a measure of the quality of our detailing we consistently receive praise from consultants and builders, resulting in repeat and referred business. Your Quality Assurance: SOBD are chartered members of the Building Designers’ Association of Queensland Inc (BDAQ). As a chartered member, we are committed to continual professional development and working within the BDAQ Code of Ethics. Stuart Osman, founder of SOBD, is President of Gold Coast BDAQ and Vice President of Regional Qld BDAQ. 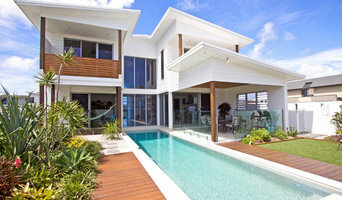 SOBD are licensed by the Queensland Building and Construction Commission , Licence No. 1129687, and are covered by full professional indemnity insurance. Creative & Innovative Building Design Studio specialising in modern, contemporary design based on the Gold Coast. Our dedicated team of Building Designers boasts years of industry experience. We have worked on projects all over the world and are constantly adapting our style to meet changing trends and environmental needs. Whether it be a small renovation to a new home or large development, we understand that each project should be designed to cater for each clients individual needs and requirements. Our team can offer you professional design advice to help you achieve the look and feel you want. SJB Design, Drafting & House Energy Assessments. House Energy Ratings. House Energy Ratings prepared for new homes to be submitted to Certifiers & Councils for Building Approval. Preparation of Energy Assessments for Exisiting Homes. Advice on Design to achieve a Eco friendly & Energy cost efficient home. Residential Design & Drafting Service. House Design & Drafting of new homes ready for submission to Certifiers & Councils to obtain Building Approval. Custom house designs for non-standard & sloping blocks. Designs for Eco friendly & Energy cost efficient homes. 3D House Facade Renders. Contract Drafting for Builders. Inspired building designs is a multi-disciplinary building design studio located on the Gold Coast. Our professional team specialise in building design, interior design and project management. Our designs have a strong focus on sustainability and the use of innovative construction methods to create livable, comfortable spaces . We work closely with our clients to ensure their projects are delivered on brief, on budget and on time. Peter Searle Design is a small design company, established in October 2006. Arising from over twenty years experience working with reputable architectural firms and a varied portfolio to include highrise apartments, commerical offices, multi-dwellings, aged care units and contemporary residences. Buildings, their interior and exterior spaces should work harmoniously with their surrounding environment and bring a sense of joy. Peter Searle Design was established to allow more freedom of expression through design that continually enhances peoples’ lives. We create building design that strives to be innovative with design evolved to the highest standard by means of efficient methods, materials and sustainability in every project we undertake. It is a process of refinement, requiring time and thoughtfulness. It should be beautifully detailed, respectful and honest. We are idea driven and believe with conviction, our designs enrich our client’s lives. The practice has a continuing responsibility and enthusiasm towards sustainable principles. This evolves from fundamental considerations of site suitability, orientation, passive design principles and from emerging technologies. Established in 2001 Jared Poole Design is a modern, progressive design practice with a diverse breath of commercial and residential design experience. Centrally based on the gold coast, Jared Poole Design provides services throughout Australia and internationally. Jared Poole Design prides itself on a professional approach to providing clients with exceptional service. Our focus is to achieve innovative, sustainable, aesthetic & cost effective design solutions. We prefer to respond to our client’s brief and the site conditions rather than follow a particular style or trend. Are you tired of having the worst home in the best street? Do you want to be able to entertain friends and family without having to apologise for the lack of room or your outdated layout and interior? As building designers on the Gold Coast and in Brisbane with over 12 years experience we can have you house proud in no time, you will never need to be embarrassed by the look and feel of your home again! The team at Cyber Drafting & Design can help you make the most of your home allowing better use of your existing space as well as offering advice on the best way to add on too or extend your existing house. So whether it’s more room to enable the family to have their own areas to retreat to or creating a more open plan style home to bring friends and family together call our team of talented building designers in either our Gold Coast or Brisbane office and let us show you how we can help. With Queensland’s idyllic lifestyle you may want to just take greater advantage of the beautiful year-round weather by adding on a deck or extending your existing patio to make the most of our enviable outdoor lifestyle. We make sure the design complements the existing home and has you enjoying your new outdoor area sooner. If renovating is not your style and you have been working to get into your forever home let us help you turn your vision into reality. 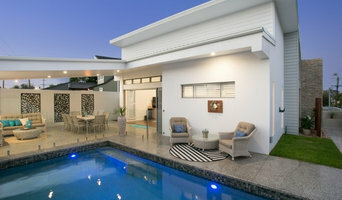 Our creative building designers on the Gold Coast and in Brisbane are able to draft the plans ready for your builder. We can bring your ideas to life and up to a stage where you can source build costs from a range of builders ensuring that you get your dream home without the nightmare build price. Having worked with a range of small to large builders we know what builders need to be able to price and complete your project and we can work with your builder to ensure a cost effective build or suggest a number of builders we trust. Don’t wait any longer to be living in the home you’ve been wanting and working so hard for. Let Cyber Drafting & Design organise everything from your plans through to pre-construction documentation so you can enjoy your dream lifestyle now! 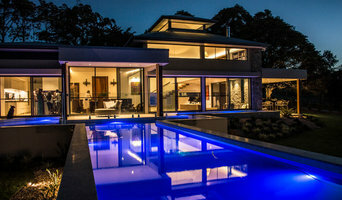 Design your home, Re-Design your home into your Dream Home, Design, Drafting, Project Managing, Building advise. 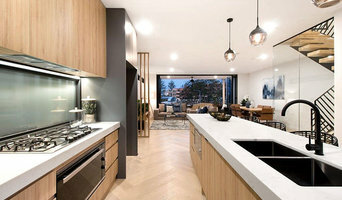 As with all other professional services for home design and renovation, the best way to choose a building designer in Fingal Head, New South Wales is to asses their past work against the style and requirements you have for your individual project. The role of building designers has evolved from traditional drafting services to building design that takes into account your lifestyle, budget and site condition. Building designers in Fingal Head, New South Wales also often work with contractors to ensure that structural elements are in line with desired aesthetics. Once you have a shortlist of building designers in Fingal Head, New South Wales, engage in face-to-face talks about your brief, to ensure you’re on the same page. To get the most value for your money, you want someone who understands you, agrees with your ideas – in relation to sustainable design, space and function – and has the qualifications and enthusiasm to translate ideas to paper and into a reality. Look through Photos of house designs to find projects similar to your brief. Then, click through to the professional responsible for your favourite picks, browse their latest projects and read reviews. Once you’ve created a shortlist of Fingal Head, New South Wales building designers, strike up a conversation with each one and you’ll be one step closer to the house of your dreams!